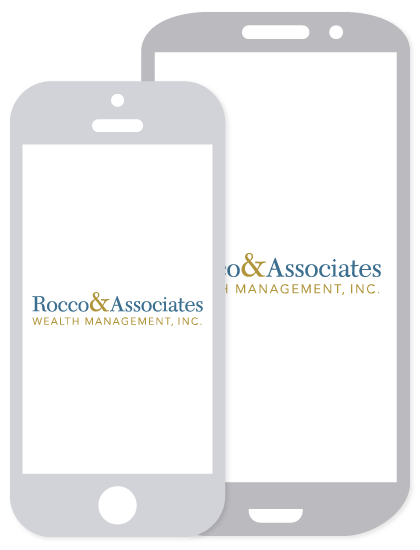 Innovation | Rocco & Associates Wealth Management, Inc.
At Rocco & Associates Wealth Management, we use a suite of cutting edge technology tools to assist in keeping your plan on track. We want you to know how you’re doing, anytime, anywhere, 24/7 365. These powerful suite of tools encompasses portfolio reporting, financial planning, and trading. View your account data in real time from your computer or any mobile device. Our client portal will let you navigate not only your accounts and performance, but upcoming required minimum distributions, progress toward your financial plan, a real time net worth statement, and much more! Don’t have time to login? Our robust client portal will not only let you login to view your accounts, but you will also have a unique number to text to receive portfolio updates. Your balance and account performance are only ever a couple keystrokes away. Our clients’ first question is almost always, “Am I ok?” Our comprehensive financial planning process will help you answer that question. We take a deep dive into all areas of your financial life and, using powerful financial planning tools, bring each of those areas to you in a clean and concise plan. This software allows you to see your investments, home, cars, real estate, business, and other assets right in one place. It will also stack these assets up against your liabilities to show you an accurate picture of your net worth. How accurate? Using a state of the art asset aggregation tool your assets and liabilities will update every time you login! Further, the program uses a powerful form of statistical analysis, called Monte Carlo analysis, to see how close you are to achieving your financial goals, including retirement, college planning, estate planning, gifting, or even saving up for a new toy! We evaluate all our investments using proprietary criteria in an effort to deliver better returns by limiting risk. Our investment committee strives to put together several of these screened investments into a diverse portfolio designed to meet your goals. However, an investment strategy is only a strategy if you stick with it. Often times investors’ portfolios drift away from their target allocation over time and may become riskier as a result. With this enhanced trading tool we will know if your portfolio drifts out of your comfort zone, alert you, and then take action. The platform also alerts to other investing phenomena so our goal will be to take full advantage, including tax loss harvesting, capital gains distribution avoidance, and cash management.